The official arrival of the fall season means we’ve been spotting a ton of different kinds of coats on street style stars around the world—blanket coats are obviously a huge trend for fall, but not far behind them are coats with a fuzzy finish. From the ubiquitous shearling we’re seeing everywhere to timeless faux-fur jackets, this fall is all about muppet-chic. Keeping that in mind, we found 12 options that will help you nail the muppet trend without looking like Animal or Miss Piggy. 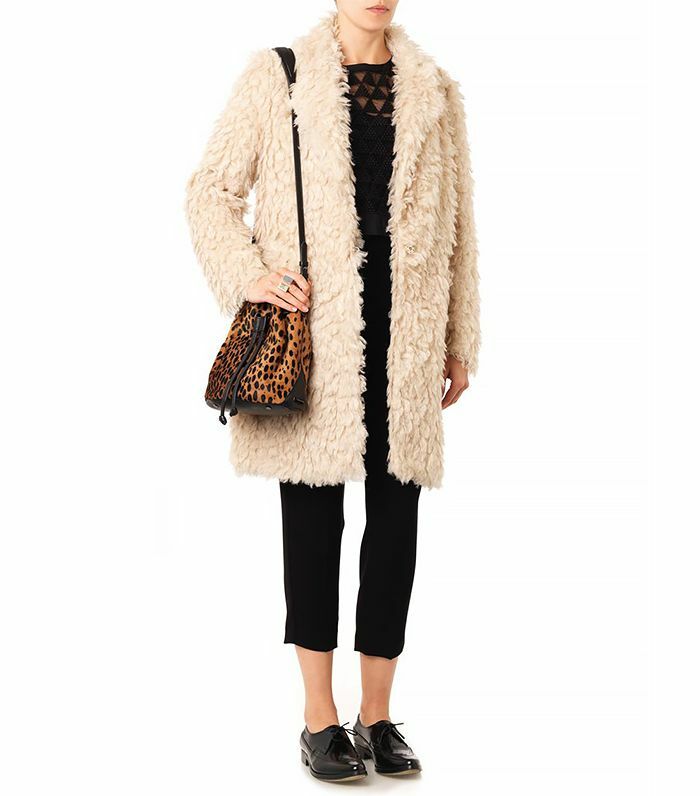 Keep scrolling to shop our favorite fuzzy coats this season! Do you think you'll wear the muppet coat trend this season? Tell us in the comments below!